As a School we are committed to bringing specialists in to drive professional learning forward. Our philosophy is clear. We value the importances of learning and growing together. The only way to impact culture and engage in meaningful dialogue is when we are all affected by a learning force bigger than ourselves. This year has been a challenging year in terms of teaming, collaborating and connecting with one another. We needed an outside force to bring ‘play’ and ‘imagination’ and the power of ‘story telling’ back to the centre of Who we are. Enter Neil Farrelly. An experienced performing arts teacher who has predominately worked in International Schools. He is also an author and moves around the International School circuit to lead all sorts of workshops. 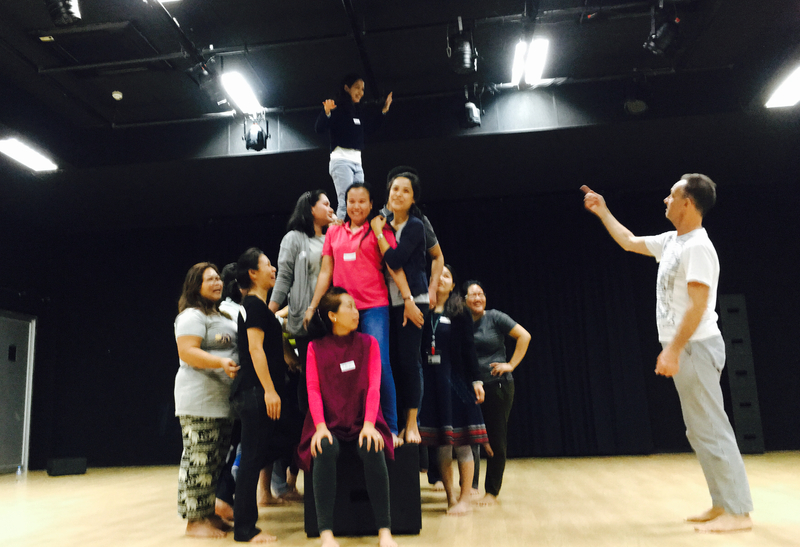 Our teachers were exposed to situations where they were thrown into expressing themselves, being spontaneous and creative and most of all laughing with each other. And didn’t we do just that! Laugh. We also needed to leave our egos, inhibitions and grudges at the door as Neil pushed, nudged and encouraged us to put our selves out there and be vulnerable again. Learning how to deepen trust and collaborate has been a focal point for us as a Primary School. Everyone had a voice during the week and there were so many lessons to dissect for different reasons. How we ‘set up’ the conditions for learning creates the tone and climate for Who we want to become as a caring and connected community. Neil was constantly setting it up for us and together we responded in ways that energized us and illuminated the importance of people, pedagogy and place. Conversations were elevated and the scope for being part of an audience was just as important as the presenter on the black box. This challenged our thinking in the way we value our audience and how we listen and respect one another. Knowing our audience improves interactions and promotes positive intensions. Listening with our ears does not mean we’re effective listeners. We learnt to listen with our mind, eyes and heart. One of the things we shared with teachers is that the ‘loudest’ person in the room or the one to be ‘on’ the black box does not always equate to leadership. We stated the opposite is true. We are all leaders and this can take many forms. As long as you are part of the learning and contributing in positive ways to impact ourselves and one another, then that is leadership too. 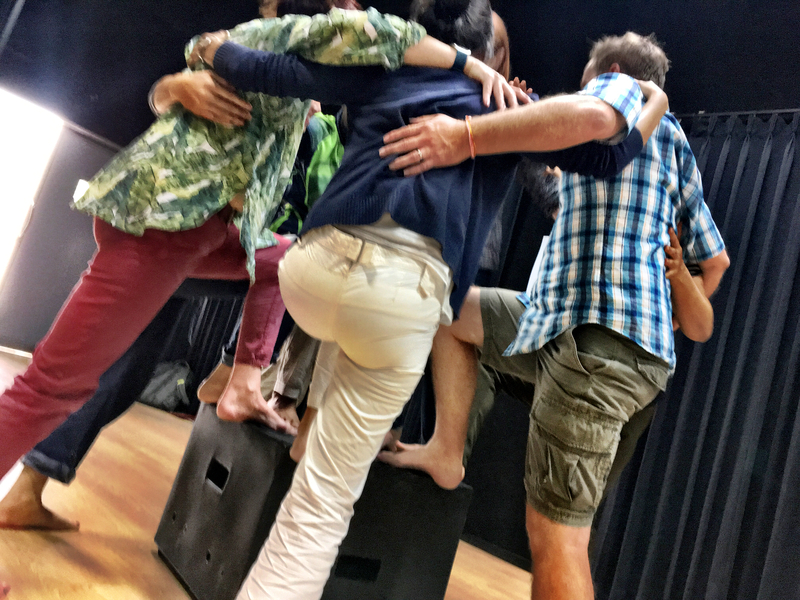 We often hear teachers talk about ‘looking through different lenses.’ Our professional learning week was all about Who we are when it comes to collaboration and Who we want to become using performing arts as the ultimate lens to look through. This experience put our teachers in the shoes of our students. The ideas and connections went into overdrive from there. We were constantly ‘connecting up’ and the learning felt real and raw as we shared together. We could have easily run a workshop on collaboration and why it is important… yada yada yada. This time we were listening to our audience and decided to go a very different direction to shake it up – and it worked brilliantly! Neil is already coming back in May. Kath Murdoch says that inquiry teachers “let kids in on the secret”, and I totally agree. Far too often, we keep all of the planning, decision-making, assessment data, idea-generation, problem-solving and thought-processes of teaching hidden away from our students. Because of this, teaching becomes something that we do to students, not with students. As long as we are doing all of those things ourselves, behind closed doors, education will retain its traditional teacher-student power relationship and, no matter how often we use fancy words like “agency” and “empowerment”, students will continue to participate in, rather than take control of, their learning. PYP teachers take simple steps to “let kids in on the secret”, to collaborate with their students. They begin by showing students that their thoughts matter – they quote them, they display their words, they refer back to their thinking and they use their thinking to shape what happens next. When students become aware that this is happening, their relationship with learning instantly begins to shift. 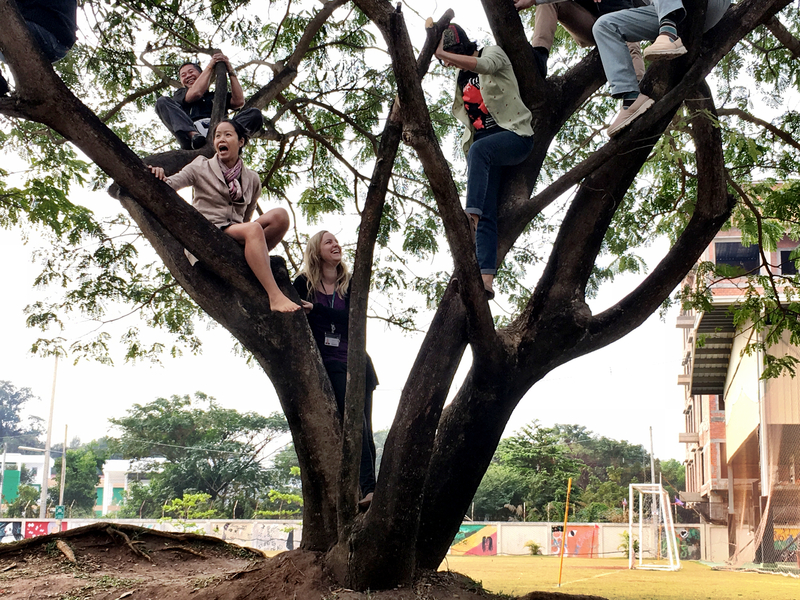 Then, PYP teachers start thinking aloud – openly thinking about why, how and what to do in front of their students and not having a rigid, pre-determined plan or structure. This invites them into conversations about their learning, invites negotiation about how their time could be used, what their priorities might be and what their “ways of working” might be. There is a palpable shift in the culture of learning when this starts happening, from compliance to intrinsic motivation. Finally, PYP teachers seek as many opportunities as possible to hand the thinking over to their students deliberately – not only because they have faith in them, but also because they know their students are likely to do it better than they can themselves! It’s shocking how frequently we make the assumption that students are not capable of making decisions, or need to be protected from the processes of making decisions, or that getting them to make decisions is a waste of “learning time”. As soon as we drop that assumption and, basically, take completely the opposite way of thinking… everything changes. Hand things over to them and they will blow you away! I still love this video of my old class in Bangkok figuring out the sleeping arrangements for their Camp and doing it way better and with more respect than a group of adults ever could! So… today, tomorrow, next week… look for ways to let kids in on the secret, and let us know what happens as a result!